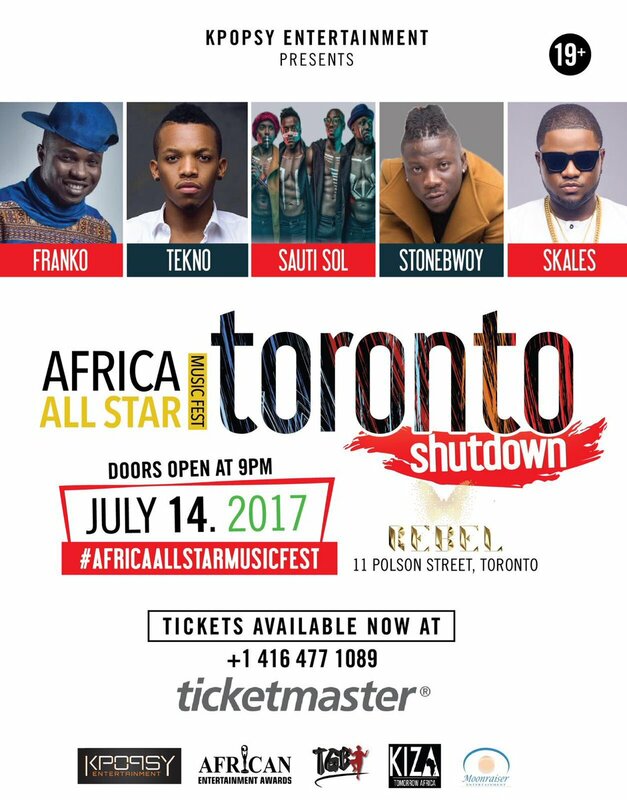 Kpopsy Entertainment is organizing an Africa All Star Music Fest evenement in Toronto, Canada, which will take place on 14 July, 2017. Doors will open at 9pm. Artistes on the bill are Sauti Sol, Stonebwoy, Tekno, Franko and Skales. Tickets are available via Ticketmaster. Moreover, one can purchase a ticket by calling this number: +1 416 477 1089. The address of the event is 11 Polson Street, Toronto.